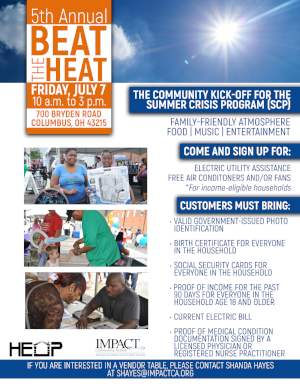 In an effort to make it easier for income-eligible households to receive critical utility service assistance during the summer months, IMPACT Community Action and its Emergency Assistance Department will host the 5th Annual “Beat the Heat” Summer Crisis Program (SCP) Kickoff on Friday, July 7, from 10 a.m. to 3 p.m. on the rear parking lot at IMPACT’s headquarters at 700 Bryden Road in Columbus. Through the SCP, IMPACT and the Ohio Development Services Agency are providing one-time benefit toward an electric utility bill if service is in threat of disconnection, is terminated, or if the service is being transferred. Households may utilize the SCP to obtain an air conditioner and/or fan which is critical to creating an oasis in the home to beat the heat! 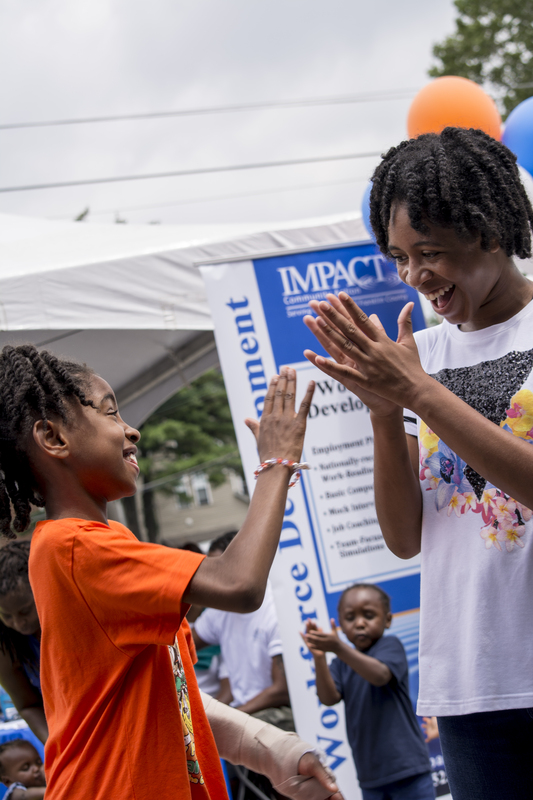 The “Beat the Heat” kickoff is a family-friendly event that features on–site outreach and resource information from several community partner agencies and human service organizations united to provide resources which inform, assist, and engage the community. The event also features children’s activities, and access to the SCP.